Today I got the Si5351 running, so all the sub systems (LCD, encoder, Si5351) are now operating. Next step is to see if I can build stock uBitX code to run on the new platform. The board is now working with the stock LCD and encoder. 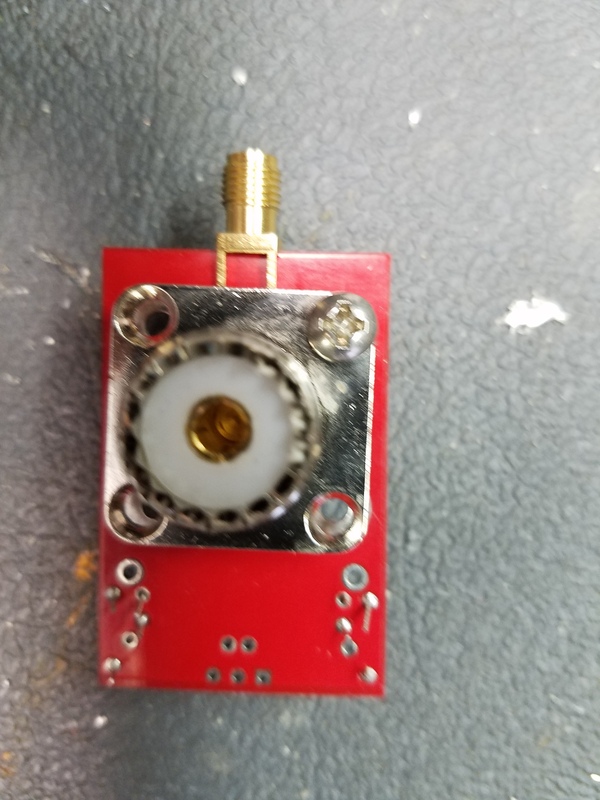 Next step is to test out the Si5351 circuits, then convert the stock uBitX20 firmware and see if I can make the whole radio play like it did with the original Raduino board. I was off this project for a long time while I attended to some business matters. I got some time the past couple days to get back to it. The voltage regulators are running, the LCD is connected and the Si5351 circuitry is soldered but not tested. 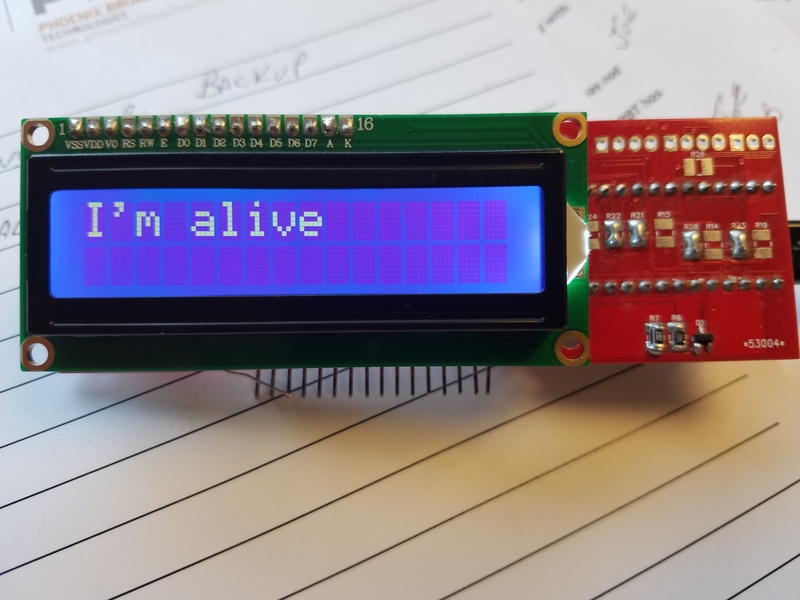 I spent quite a while trying to figure out why I couldn’t get the LCD working with a simple “Hello World” sketch, only to finally discover that a tiny 1/32″ long piece of PCB trace between a via and an LCD connector pin was missing. I probably knocked it off when I was soldering the LCD connector…it’s only 6 mils thick, so very fragile. I’ll fix it later today and I expect the display to fire right up. Next step will be either the encoder or the Si5351 – I haven’t decided yet. Hopefully I’ll make steady, if slow, progress from this point. Once the 3 main subsystems are working, I’ll try to convert stock uBitX firmware to run on the new platform. After that, I’ll start working on migrating the upgrades I had on the original Nano version over to the new Blue Pill processor. There were actually 2 problems. The broken trace I mentioned and a mislabeled port on the schematic. The first was fixed with a wire; the second was easily fixed with an assignment change in the sketch. Seems to work now. Next step, get the encoder working. This term really bugs me, as none of common designs are really measuring SWR (“Standing Waves”), they’re measuring the error ratio of an actual impedance compared to a reference. If they were really measuring standing waves, which they can’t be doing because they measure even if connected directly to a load with no transmission line, the SWR on the transmission line would be assumed to be the ratio of the known impedance to the reference impedance. For example, in a 50 ohm system, a 2:1 impedance mismatch (25 ohms or 100 ohms) would correspond to a 2:1 SWR. This is another soapbox matter for another day. 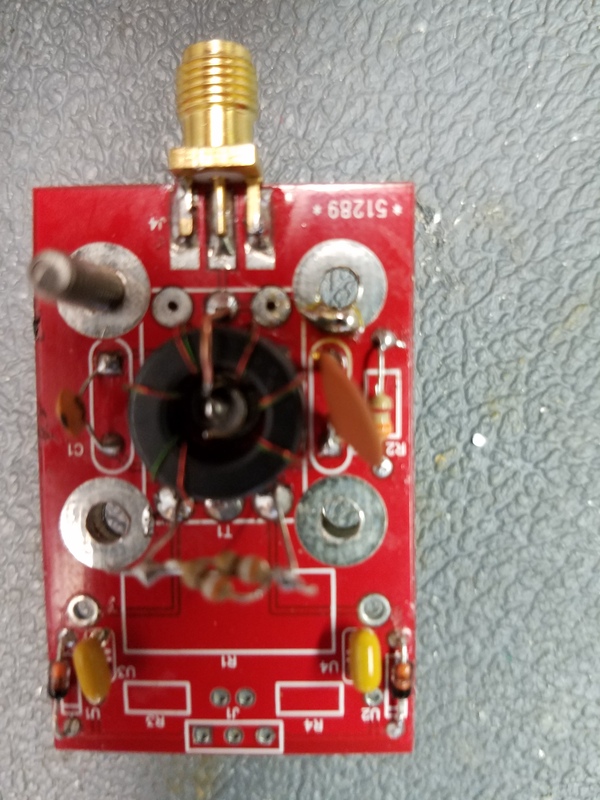 Anyway, I designed this little board to go on the SO-239 connector of my uBitX transceiver and drive an A-d converter input. If there’s interest, I’ll publish the DipTrace CAD files and Gerbers and/or make it available directly from the board fab house. Seems to work, with over 20dB of directivity without any adjustments. This was with 100mW from my HP8640 signal generator. Calibration with power needs to be developed. Insertion loss is less than 0.2dB and input match is better that 20 dB & seems pretty flat over the HF range, but I don’t have any detailed numeric or other real-world data at other power levels to publish at this point. I’ll publish more as I characterize it, but got to get back on the Raduino Pill first. The schematic is from LTSpice, so you can run the simulation if you like. Note that the ratio of R1 to R3 & R4 sets the full-scale DC output voltage. I have the values set to get about 3.3V @ 10 watts, which is right for the A-D converter on the Blue Pill board. This is a sweep of the reverse port made with my Tektronix 495P analyzer w/tracking generator. Note that the sweep is referenced to the second graticule line from the top.